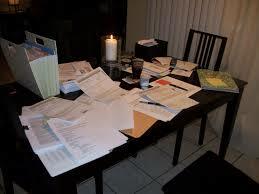 As you are amassing stacks of brochures, applications, and other paperwork relating to your college search and financial aid process, you will quickly find you’ve got a giant mess! Create a separate file folder for each different college. Write passwords and other important access info on the inside of the file folder. On the COVER of the file folder, write the due date of the application along with a checklist for every item you need to complete the application. When you have completed the application, print out a copy and keep it in the file. Create a separate file folder for each scholarship. On the COVER of the file folder, write the due date of the scholarship along with a checklist for every item you need to complete the application. Keep a hard copy of all scholarship applications and responses. Create separate file folders for any financial aid paperwork: FAFSA (Free Application for Federal Student Aid) and state grant info, as appropriate. Write login info and passwords on the inside of the file folder. Keep hard copies of all paperwork. Order the files in the box, according to due date. The nearest due date should be in the front, followed by the next due item and so forth. Then, check your file system on a daily basis, so that you stay on top of what needs to be done. You can also calendar these deadlines in your planner or on a calendar on your phone. It’s not rocket science, senior — but this simple system will keep you on track!